Payments in Hour Timesheet are handled by Stripe. Stripe is an online payment service that accepts all major credit cards. 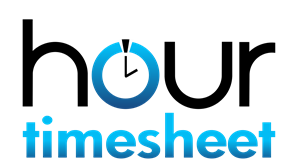 Users of Hour Timesheet are by default given a 30-day free trial. Once the trail period is over, the admin user will need to access the payment page under the Settings menu and provide the appropriate credit card information to continue to use the Hour Timesheet software. The site will prompt the users upon the expiration of the free trial and disable full functionality of the software. Accounts are billing monthly and all payments are non-refundable.